It is three years to the month since the signing into law by President Higgins of the Local Government Reform Act 2014. The act abolished Ireland’s 80 town councils as part of a range of measures designed to reform local administration. Three of those town councils operated in the Mayo towns of Ballina, Westport, and in the county capital, Castlebar. The debate continues as to whether the abolition of an entire tier of local government was largely beneficial or harmful. It may take longer than three years for any lasting effects to register themselves. The Act of 2014 has been the most recent statute in a long line of centuries of legislation that has guided, and at times utterly changed, local government in Ireland. Despite its longevity and its intrinsic role in society, the study of local government in Ireland has suffered due to the attraction of national government and all of the drama it provides. But scratch beneath the polite veneer of local politics and you will find that just as intricate a set of relationships operates there too. This is an important point as the success of Castlebar’s urban government in positively influencing the lives of the town’s inhabitants was directed as much by personalities and internal conditions as it was by external forces. After more than 200 years in existence, Castlebar Corporation was dissolved in 1841 in large part due to the acerbic relationship of just two men. Castlebar was granted a charter of incorporation in 1613 by King James I. The corporation was no ornamental body, it had defined and powerful roles within the town boundaries. The council could make byelaws for the town, manage markets and professions, and appoint policing constables. The mayor also had a judicial role as sole judge of the small claims Borough Court. By the 19th century, politicians were debating the usefulness of the aging local government system and a royal commission was established in 1833 to investigate the condition of each municipal corporation. Two members of the commission visited Castlebar in September of that year to interview members of Castlebar Corporation. The contributions of the council members did nothing to convince the commissioners that the corporation was a functioning body, let alone a necessary one. Following some confusion, Sinclair O’Malley identified himself to the commissioners as the current mayor of Castlebar. O’Malley and his father Charles were council members and also served as agents to the earls of Lucan, the patrons of the Corporation. The commission found that all the witnesses examined had concurred and wished for the re-dedication of Castlebar Corporation but the revival of the body would have needed committed individuals who at the very least enjoyed a good working relationship. That relationship most definitely did not exist between Sinclair O’Malley and the third Earl of Lucan. 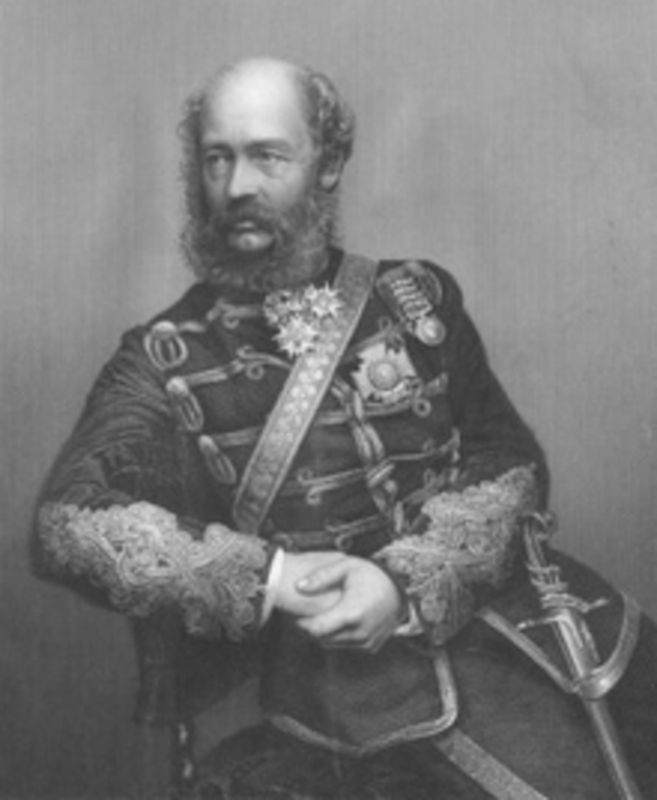 Immediately following the death of his father and predecessor in 1839, George Bingham, third Earl of Lucan dismissed Sinclair from his agency. A deep personal abhorrence grew between the two men. Pushed by alleged provocation, Lucan had O’Malley charged with trespass where he was accused of hunting over his lordship’s lands at Sheeanes with dogs and guns, without authority. O’Malley responded by using the case to publicly throw insults and threats of violence at Lucan. The lord chancellor interpreted both men’s conduct during the proceedings as not befitting a magistrate and dismissed both from the magistracy of Mayo. Both Lucan and O’Malley were restored to their former places in the commission of the peace less than a year later, but Lucan considered it an abasement of his status to sit alongside O’Malley on the magisterial bench and refused to return. Far from working together to save the local authority, O’Malley and Lucan allowed Castlebar Corporation to become defunct. The British government passed the Municipal Corporations (Ireland ) Act of 1840 to do away with the dead wood. Castlebar Corporation was formally abolished under the 1840 Act, in 1841. ‘Castlebar 1600-present: history of a county capital’ is the title of an illustrated lecture I will be giving to the Mayo Historical and Archaeological Society on Wednesday January 25 at 8pm in the GMIT campus, Castlebar. Non-society members are very welcome to attend.